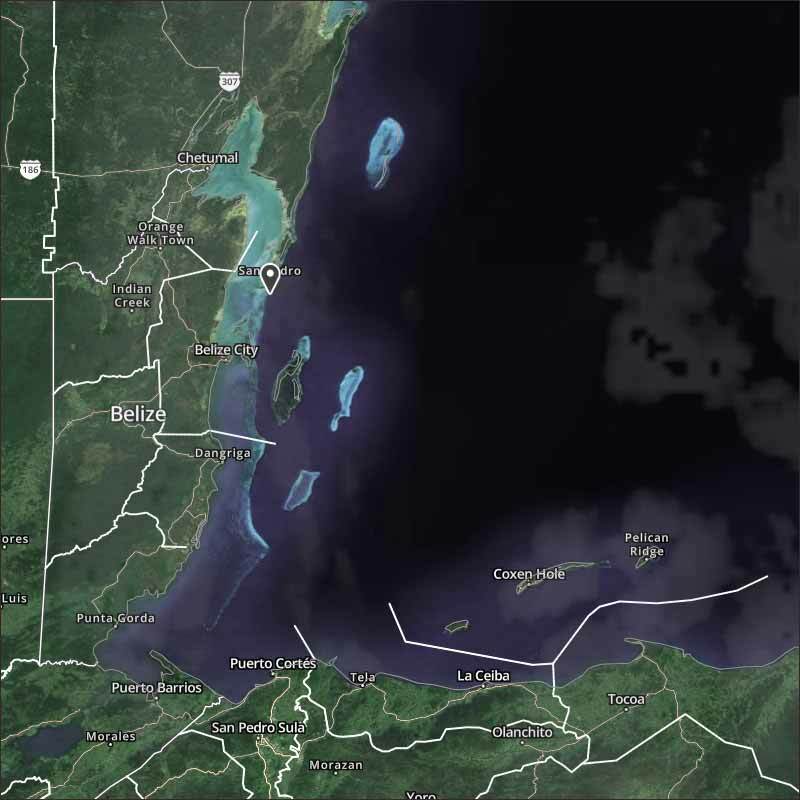 Belize NMS: Moist and unstable conditions prevail. 24-hour forecast: Cloudy spells with a few showers around the country, but especially the north and coastal areas today, becoming generally isolated tonight. 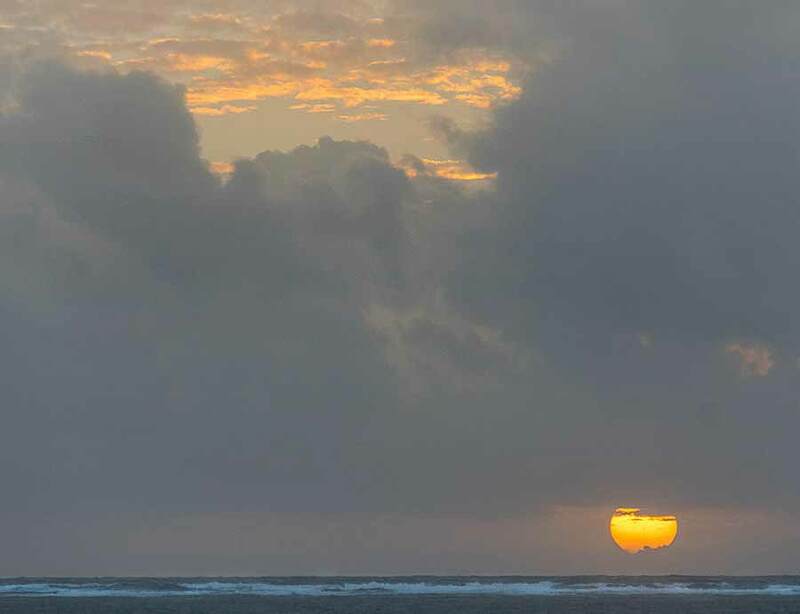 General Outlook: Cloudy spells with a few showers and isolated thunderstorms. Today E 15-25 kts Moderate-Rough 5-8 ft A FEW SHOWERS. Tonight 15-25 kts Moderate-Rough 5-8 ft GENERALLY ISOLATED SHOWERS. Tomorrow 15-25 kts Moderate-Rough 5-8 ft A FEW SHOWERS AND ISOLATED THUNDERSTORMS. Outlook E-NE 10-20 kts Moderate-Rough 6-10 ft A FEW SHOWERS MAINLY SOUTH. Today's expected high is 84 f.
The lines of cloud across the land have already developed, more thickly in the south, but no rain. However, there is now large areas of heavier cloud out in the Caribbean, coming our way, presently only causing a few very small showers, but likely to cause more rain to some parts later this afternoon, more so in the south. There is a cold front out across the Gulf, but not, as yet effecting our weather. Looks as if this morning will be dry and sunny, with white clouds, a higher chance of rain this afternoon, particularly for central and south. 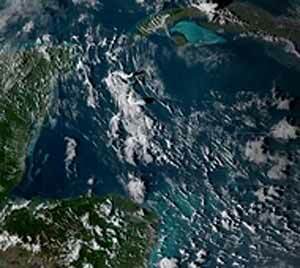 NOAA screwing up again, this is last night, but it does show the Caribbean clouds coming in.